Last Friday we had a new gun show up in the shop that we weren’t expecting and honestly didn’t even know existed. As per usual when something cool and new comes out, we couldnt wait to get it out to the range to see how it shoots. 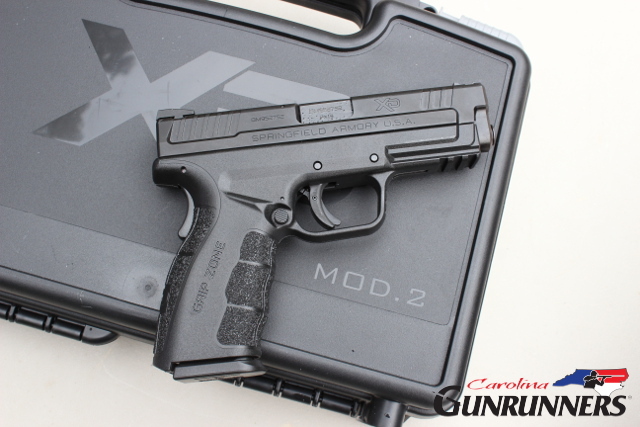 The pistol in question is the Springfield Armory XD Mod.2 4” 9mm. 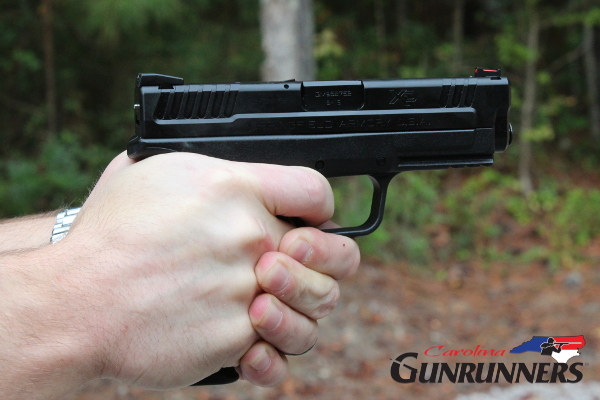 You might remember we reviewed the sub-compact version of this pistol when it first came out. Other than complaining about the “GRIP-ZONE” lettering on the grip and mismatched checkering on the magazine extension, we liked it. The 4″ Springfield Armory XD Mod.2 feels really good. Just like it’s little brother it has fantastic grip texture and it feels pretty good in the hand. Something that Springfield Armory definitely improved over the regular XD is the grip safety, or at least the area of the grip around the grip safety. On some of the standard XD’s there was a sharp edge at the top of the grip safety that could irritate the shooters hand after a bit, but that doesn’t seem to be the case with the XD Mod.2 4″. The controls are all standard XD. They are where you’d expect them to be and they work great. The Mod.2 4″ still has the ambidextrous magazine release like the other pistols in the XD line which is a really nice feature. Other pistols (Gen4 Glocks, S&W M&P’s, etc) require removal of the magazine release and re-installation in the opposite direction in order to work on the other side of the pistol. The XD Mod.2 has a magazine release button on both sides. Grip – The “Grip Zone” grip texture is fantastic. We could pass on the billboard text down the grip, but it does feel good. Slide milling – The slide on the Mod.2 pistols is milled differently making it more attractive and giving added grip for manipulations. 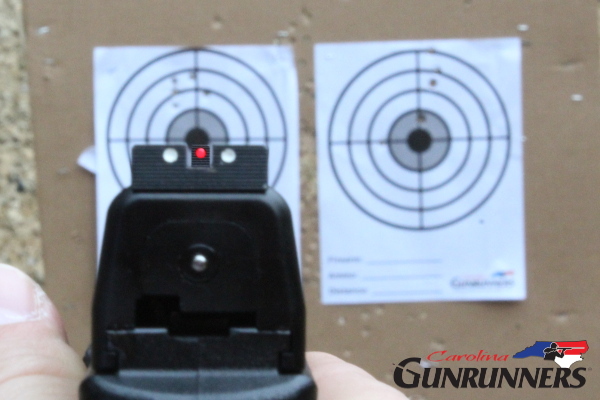 As soon as we got to the range, we stuffed a few magazines with ammo and tried shooting some groups with the XD Mod.2 4″. 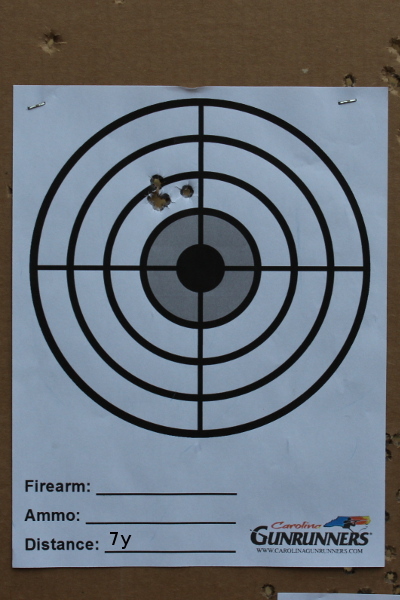 The groups were respectable, but both shooters were hitting a bit high with the XD. It seems as though the sights on the Mod.2 4″ are set up for a 6 O’clock hold. We also took the XD back to the 30 yard line and hit the steel plate target with it. 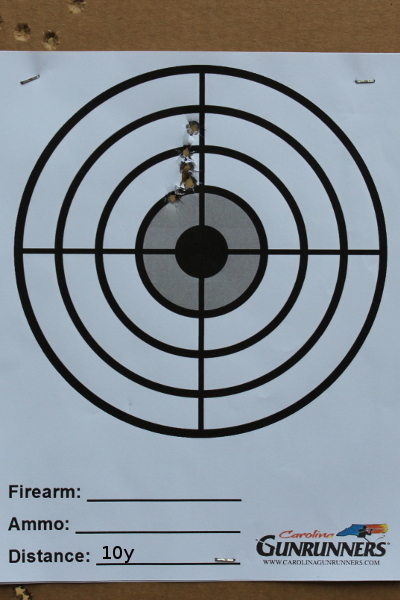 Unlike some other pistols we’ve shot back at the 30 yard line, the XD was almost boring. Entire magazines of ammo fired and they all hit the target as expected. We didn’t just shoot 200 rounds through the XD Mod.2 4″. We hammered rounds through the pistol as fast as we could. Magazine after magazine, round after round, pushing the pistol as fast as we could go to try and make it hiccup and it didn’t. We really liked the XD Mod.2 4″. It’s accurate (once we figured out the 6 0’clock hold), easy to shoot, comfortable, and reliable. What more can you ask for? 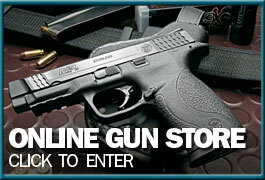 If you’re looking for a full size 9mm in the $500 range, this is definitely one to consider. If you’re interested in one, give us a call, or come by the shop.